Mark's Tickets is the best place to find tickets for Chicago White Sox fans. Just check this page for any new events or schedule updates throughout the year. We sell tickets to every Chicago White Sox game around the world. We know how passionate Chicago White Sox fans can be about baseball, so we make sure to have hundreds of tickets for every game available right up until it starts. For those looking for cheap Chicago White Sox tickets, we offer tickets starting at very low prices (many times below face value). 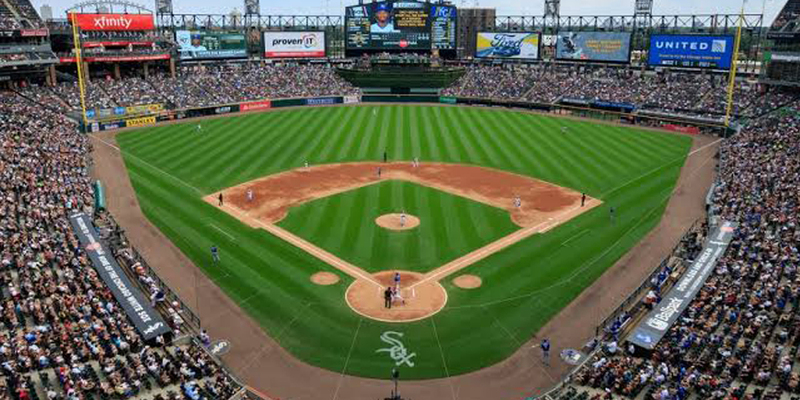 We offer tickets in most sections of every venue that you can see Chicago White Sox. Simply choose the city or venue that you are interested in below, and you will be able to see all of the available seats. Do not forget that Marks Tickets also specializes in sold out Chicago White Sox tickets. No longer will sold out shows prevent you from seeing Chicago White Sox. The Chicago White Sox are a professional baseball team that plays in the MLB. The White Sox play their home games at U.S. Cellular Field in Chicago, Illinois. With 162 games per year, and 81 being home games, The Chicago White Sox are a Major League Baseball team located in the south side of Chicago, Illinois. The White Sox play in the American League's Central Division. Since 1991, the White Sox have played in U.S. Cellular Field, which was originally called New Comiskey Park and nicknamed "The Cell" by local fans. The White Sox are one of two major league clubs based in Chicago, the other being the Chicago Cubs of the National League. The White Sox last won the World Series in 2005. One of the American League's eight charter franchises, the Chicago team was established as a major league baseball club in 1900. The club was originally called the Chicago White Stockings, after the nickname abandoned by the Cubs, and the name was soon shortened to Chicago White Sox, believed to have been because the paper would shorten it to Sox in the headlines. At this time, the team played their home games at South Side Park. In 1910, the team moved into historic Comiskey Park, which they would inhabit for more than eight decades. The White Sox were a strong team during their first two decades, winning the 1906 World Series with a defense-oriented team dubbed "the Hitless Wonders", and the 1917 World Series led by Eddie Cicotte, Eddie Collins, and Shoeless Joe Jackson. The 1919 World Series, however, was marred by the Black Sox Scandal, in which several prominent members of the White Sox (including Cicotte and Jackson) were accused of conspiring with gamblers to purposefully lose games. Baseball's new commissioner Kenesaw Mountain Landis took decisive action, banning the tainted players from Major League Baseball for life. Decades of mediocrity followed for the White Sox until the 1950s, when perennially competitive teams were blocked from the playoffs by the dynastic New York Yankees, with the exception of the 1959 pennant winners led by Early Wynn, Nellie Fox, Luis Aparicio, and manager Al Lopez. Another pennant winner did not come until their championship season of 2005, when the White Sox won their first World Series championship in 88 years.